The name Antineoplastons comes from their functions in controlling neoplastic cells: Anti = against, Neoplastons = cancer cells. The manufacture of antineoplastons is done at the Burzynski Research Institute in Stafford, Texas and is in compliance to strict FDA regulations. Antineoplastons were discovered by Stanislaw R. Burzynski, M.D., Ph.D. in 1967 who first identified their anti-cancer properties. Antineoplastons are naturally occurring peptides demonstrating ability to re-program cancer cells without destroying normal cells. Due to their low-toxicity and anti-cancer activity antineoplastons represent a revolutionary avenue in cancer research. 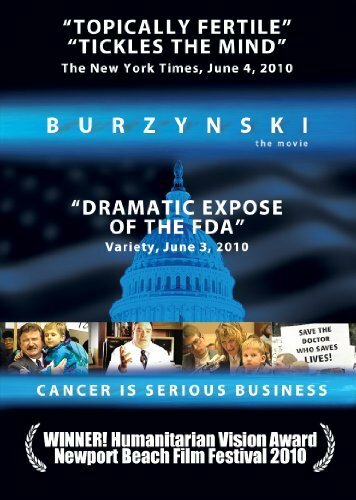 According to Dr. Burzynski, antineoplastons are components of a complex biochemical defense system that controls cancer in the human body. Antineoplastons occur naturally in human blood and are reproduced synthetically for medicinal use. Since their discovery in 1967, antineoplastons have been subject to extensive scientific research by the Burzynski Research Institute and many major national and international research institutes in effort to identify their mechanism of actions and use in cancer treatment. Several institutes confirmed the anti-cancer properties of Antineoplastons, including the National Cancer Institute (1991) and Kurume University Medical School in Japan. Currently, antineoplastons are used in cancer treatment within FDA-supervised clinical trails, many of them involving patients with malignant brain tumors.